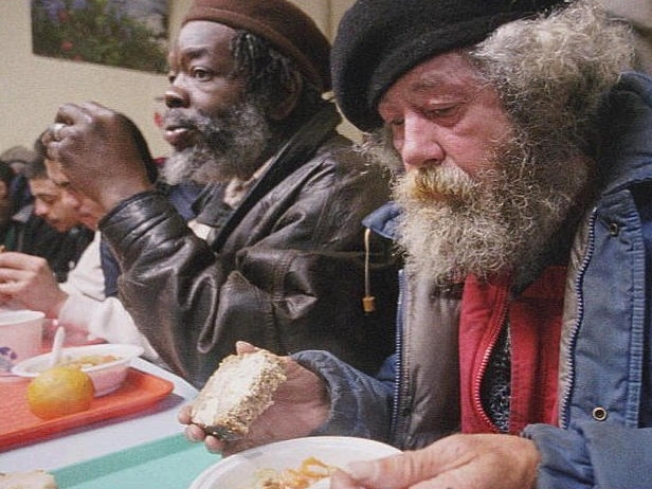 As winter approaches New York’s soup kitchens and food pantries are overwhelmed with clients. The troubled state of the economy has greatly increased the demand for food here. In the language of the Washington bureaucracy, 1.4 million New Yorkers are described as "food insecure." That means they suffer some degree of hunger. 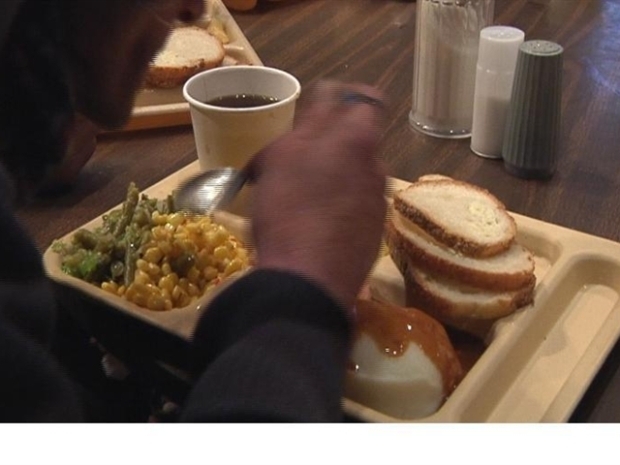 According to the Coalition Against Hunger, there’s been a 21 percent increase in the number of people going to soup kitchens this year as compared to last year. With a decrease in charitable contributions by businesses and budget cuts in Albany, the situation is precarious. In the midst of the holiday season, 20% of New Yorkers don't have enough to eat and soup kitchens are struggling to feed our city's hungry. The hungry and the homeless don’t inspire great support among political leaders. For the most part these people don’t vote -- they have to concentrate on getting shelter and food. At the Church of the Holy Apostles Soup Kitchen in the Chelsea neighborhood, 1200 people come in search of food every week day. It's the city's largest soup kitchen. The other day, as a volunteer played "Hark the Herald Angels Sing" on a piano in the sanctuary, the associate rector of the parish, Mother Elizabeth Maxwell talked with me. "We’ve had good years and bad years and the people that we serve continue to struggle," she said. "And we have people who have been here as long as I have been here and we also have people who have just arrived and have never expected to find themselves on the soup kitchen line." "And now abideth faith, hope, charity , these three; but the greatest of these is charity."